Each day this week has been more gorgeous than the last, and many people are taking advantage of the weather to visit their favorite food trucks. We hit Dewey early for some Stoked Pizza and just beat the crowds. Arriving at 11:45am, we were able order within a few minutes and had our pies in under 10 minutes cook time. That is quite amazing for a personalized and wood-fired pizza of this quality. 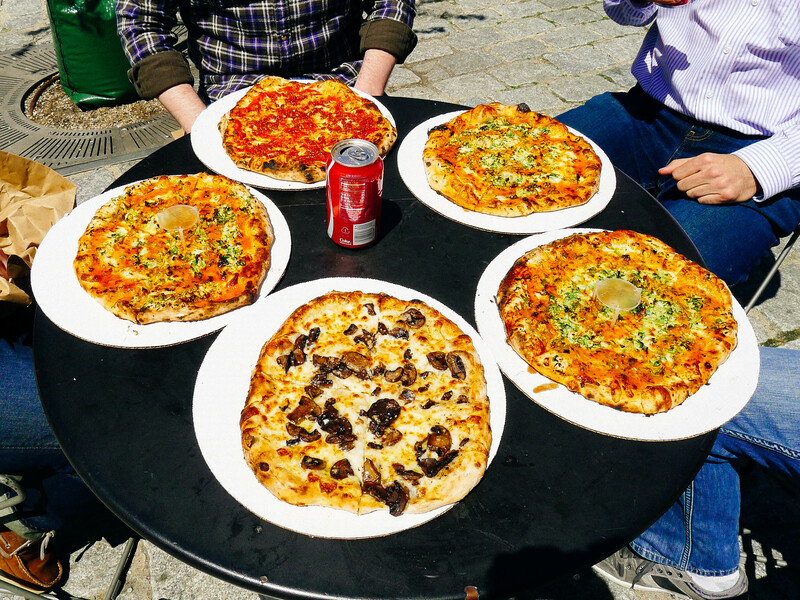 Notice that the most popular pizza in our group is the Buffalo Brussel Sprout Pizza. 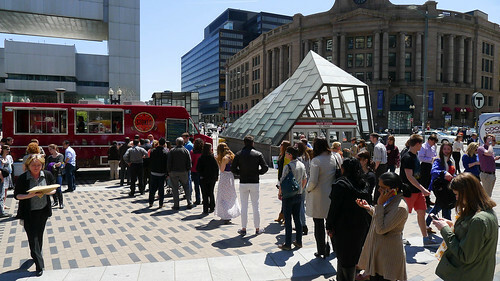 By the time we were finished eating, the line stretched across Dewey Square to Mei Mei, and the Mei Mei ran parallel, almost back to Stoked.